The consequences of climate change for the modern food economy will depend on three main factors. First is the nature of climate change itself. 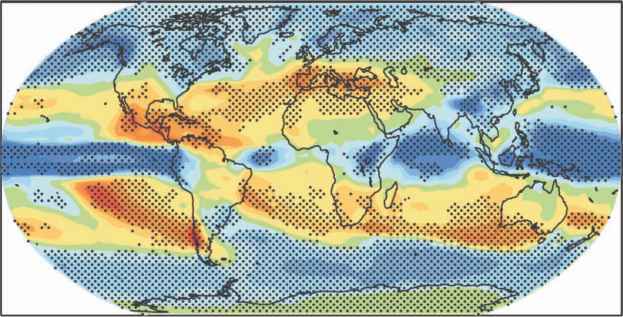 For example: how fast will temperatures rise, and where and by how much will rainfall patterns change? In large measure these changes will depend on emissions of greenhouse gases (GHGs) and the response of the climate system to these gases, although changes in aerosols and land use can also affect local climate trends, particularly in agricultural regions (e.g. Auffhammer et al., 2006; Lobell et al., 2008a). Our understanding of future climate rests largely on projections of climate from general circulation models, as described by Jarvis et al. (Chapter 2, this volume), which embody a remarkably sophisticated but inevitably limited description of the Earth's climate system. The second key factor is the response of cropping systems to changes in climate and atmospheric constituents such as carbon dioxide (CO2) and ozone (O3). This response rests in large part on the biological aspects of the crops themselves, but also on the physical environment (e.g. soil properties) and crop and soil management. In particular, farmers may adjust management practices or crop selection to adapt to a new climate, and advances in research or investments in rural infrastructure may greatly enhance the number and effectiveness of technologies available to them. The third factor will be the response of the food economy to changes in cropping systems throughout the world. For instance, production will shift to some degree away from farms and regions most harmed by climate change, and this may reduce the negative impacts on overall food production and prices. Yet the response of the global food economy to climate cannot be viewed separately from other major trends, as these will determine the ability and willingness of people to buy and sell food. For example, will regions hit hardest by climate change have the resources to import enough food, and will exporters have policies in place to facilitate trade even in years with especially poor harvests? is addressed by Jarvis et al. in Chapter 2, this volume.) The main objective is to provide a context for the rest of the book by describing what is at stake (i.e. the expected impacts in the absence of effective adaptations) and what some of the key constraints to adaptation are. Though the focus of the chapter is on economic measures of impact, namely total food production and food prices, we emphasize that these can miss much of the humanitarian costs of climate change. For more discussion of potential impacts on poverty and food security, see Lobell and Burke (2009). In the following section, we outline some of the major non-climatic trends in the food economy. In the section 'Projecting Impacts of Climate Change on Cropping Systems' we summarize some of the main processes by which climate change will affect cropping systems over the next few decades, including the potential role of adaptation. As the remainder of this book details specific adaptations, such as development of new crops and management-based options like conservation agriculture, we focus instead on general issues and constraints to farmer adaptation and trade responses. Finally, we outline medium, optimistic and pessimistic scenarios of economic impacts by 2030. We focus on this time period because it represents a 20-year outlook that we consider to be a typical time scale for developing new crop varieties, which is the focus of this book.